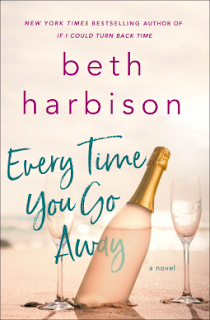 What They Say.....In New York Times bestselling author Beth Harbison's most emotional novel ever, a fractured family must come together at a beach house haunted by the past. What I Say.....Ahhh, Beth Harbison, I love you so. Every Time You Go Away was the perfect book for the weekend. Willa is ready to put her beach house on the market after her husband died in it. She just needs to do some fixing up and stick the For Sale sign in the front yard. But when she arrives at the house by herself, she finds an unexpected surprise. Her husband. She's not sure if she's seeing a real ghost or if she is just finally going completely crazy, but she isn't going to miss a chance to connect with Ben again. Her best friend and her son soon join her, but Ben doesn't go away and she's trying to keep their conversations a secret so that she doesn't look like a complete nutter butter. This is the book you need to read if you want to snuggle under blankets and have a nice cleansing cry. I loved it.